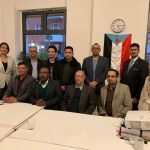 [BRUSSELS – 8 MARCH 2019] On the eve of International Women’s Day, a group of women from across South Yemeni society led a panel discussion in Brussels on the role of women on the ground. 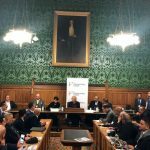 The event was an important opportunity for EU policy makers, NGOs, media and the diaspora to hear about the historical context of South Yemen, and how that history would shape the future of the current Yemen crisis. The women used the opportunity to press for genuine engagement of all actors in the UN-led political process, with women, civil society and the youth to be at the forefront. Despite international commitments on this track, actors on the ground continued to be marginalised from the broader diplomatic efforts. Intensify support for Southern women leaders, politicians, civil society and activists. Marginalisation of these groups continued at alarming rates. The international community has the tools at its disposable to put into action strong commitments on women’s inclusion. The women in the delegation are now taking their advocacy across other European cities to advocate for the needs of the South. The group comprised of the undersigned below.